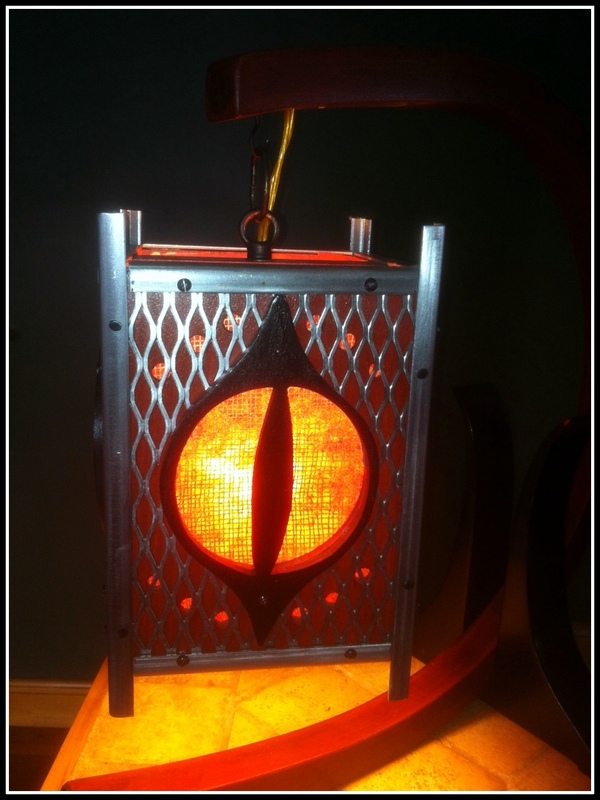 What possessed you to make an Eye of Sauron lamp? That was a question someone asked when I showed them the finished product. I loved that question. Partially because it had no detectable mockery of my nerdery, but mostly because it involved the word “possessed,” which I immediately felt had the right connotation. My initial response to the question was “Because it’s awesome.” But that really didn’t answer the question now did it. And so seriously, what possessed you to make that? What took hold of you? What possessed you? Isn’t that question basically at the heart of trying to understand the creative process? An attempt that has been repeatedly made through the annals of time. Discussed in coffee shops and bars and opium dens the world over. I am sure there are countless studies on the creative process. There are thousands of books out there instructing you on how to be more creative. I am sure there is some universal concept of how creativity works. I am sure I don’t have a clue what it is. I’ve always found that we are all shaped by so many factors and experiences that how we approach the creative process is a difficult thing to ask someone to try and emulate it. There are certainly lots of tools in the creative tool box that are useful. I have no idea which one will work for you. I guess you’ll just have to try them out. So back to the question? What possessed me? Well, I suppose at a simple level (and I like to keep things simple) I suppose I was possessed by a vision or an idea. Now I’m a fairly abstract person so the vision lacked definition or specificity, but it was there inside. We all have visions. We all have ideas. An idea possessed me. It took root. But it wasn’t the idea or the possessing that made the lamp come to life. It was audacity that did that. The audacity to just do it. You know what’s great about audacity? Audacity likes to kick the crap out of fear. Likes to push fear out of the way. And why don’t we do so many things in life? Out of fear. Fear’s a big, clueless jerk. Fear’s good for escaping saber tooth tiger attacks. Not so good for taking life head on. You have to teach fear the difference. At the end of the day then it’s not being possessed by some mystical creative process that makes visions come to life, but it’s about being possessed by audacity. May your life be filled with the light of audacity. 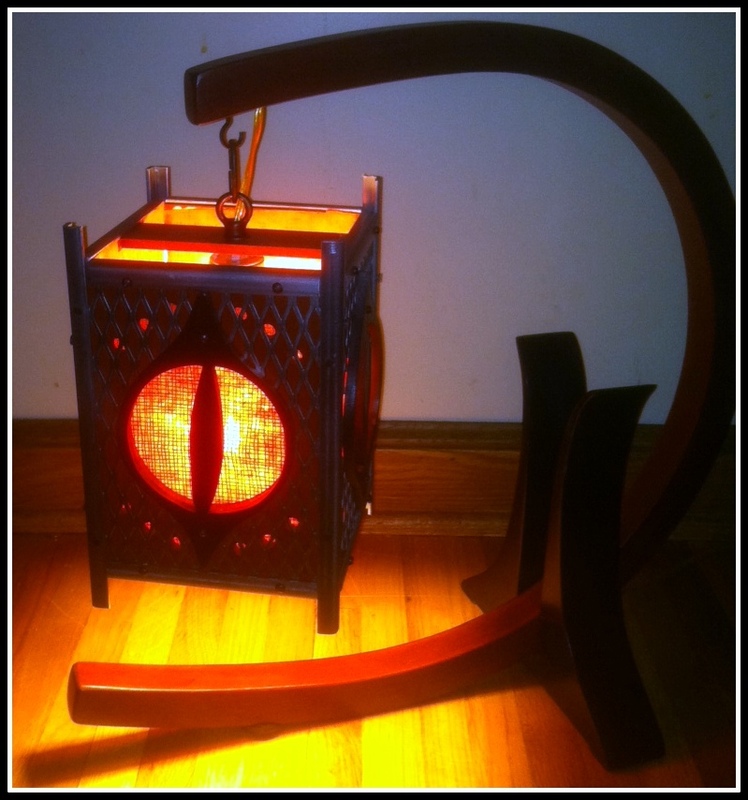 This entry was posted in Entertainment, Freedom and tagged audacity, creative process, creativity, Eye of Sauron, inspiration, Lord of the Rings. Bookmark the permalink.